An upper ridge across E-CNTRL Europe weakens as deep trough is pushed south from Scandinavia. 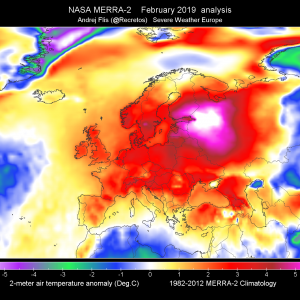 Short wave trough pushed across SE Europe. Upper low moves from E Iberia into N Algeria. 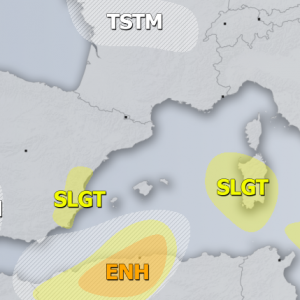 An ENH risk has been issued for S Turkey coast with threat for severe storms, capable of producing severe winds, large hail, torrential rainfall and tornadoes. A good overlap of CAPE and helicity along the coastal areas will be supportive of some well organized severe storms. 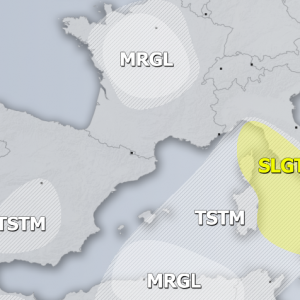 A SLGT risk has been issued for S Turkey, S Aegean sea and N Cyprus with threat for isolated severe storms, capable of producing severe winds, large hail and torrential rainfall. 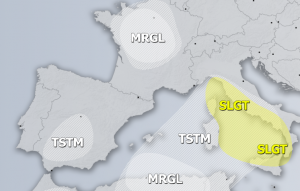 A SLGT risk has been issued for NE Algeria with threat for isolated severe storms, capable of producing severe winds, large hail and torrential rainfall. A MRGL risk has been issued for SE Poland where some isolated storms are possible in the afternoon, some threat for large hail and severe winds exists. A MRGL risk has been issued for N Romania and Moldova, central Ukraine and SE Belarus where some isolated storms are possible, capable of producing severe winds, torrential rainfall and large hail. 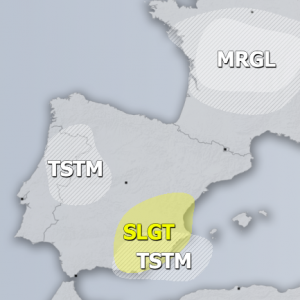 A MRGL risk has been issued for Appenines with threat for isolated storms, capable of producing strong winds, large hail and torrential rainfall. Slow moving storms could result in flash floods.